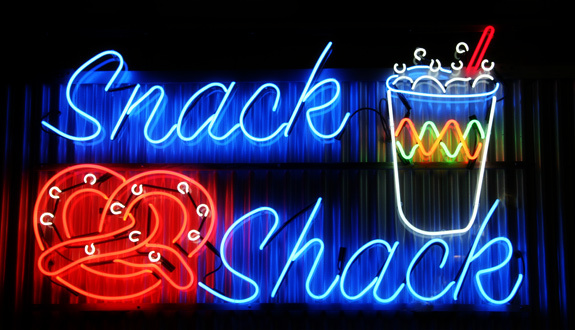 Neon is nostalgic, and the art of hand bending neon is an art form that unfortunately is slipping in to obscurity. 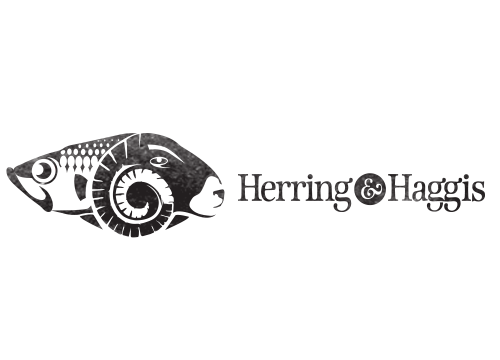 Herring & Haggis proposed some custom neon work to the Jacksonville Ice Rink for an interior signage project and the designs began to take shape. 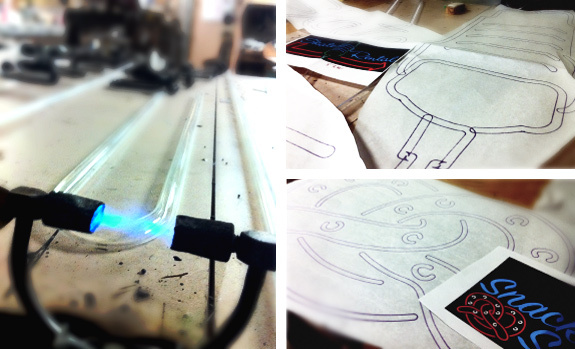 Partnering with Norris Neon, the sole remaining hand bent shop in town, those shapes took form. With the spark of a torch, the hiss of gas and a high voltage AC current art … came to life.